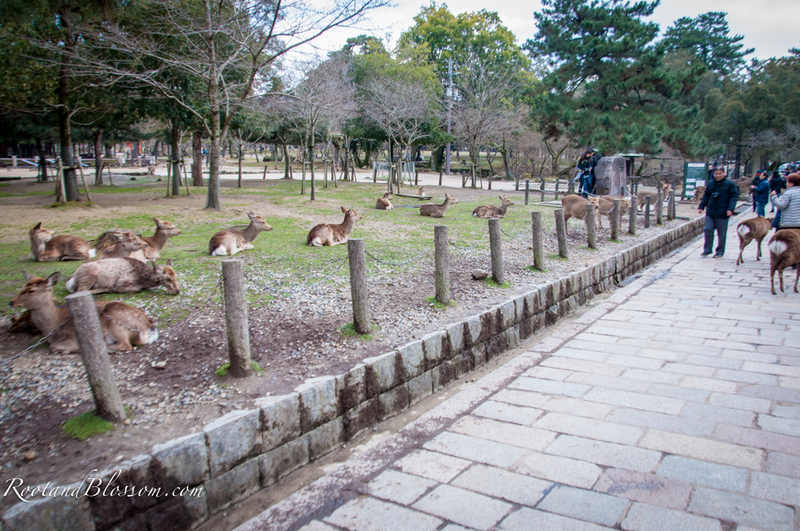 When we were planning our Kyoto trip I suggested we visit Nara to see the deer. 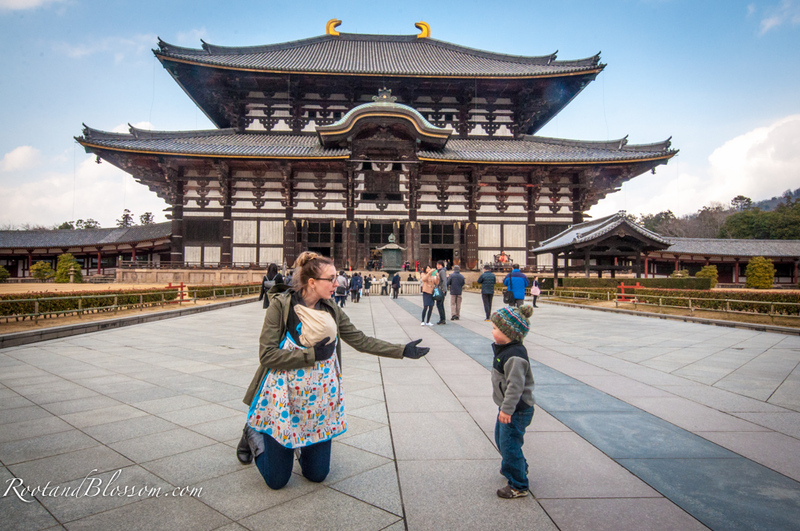 Chris was super skeptical about heading to Nara, not because of the deer but about traveling to Kyoto to not see Kyoto. 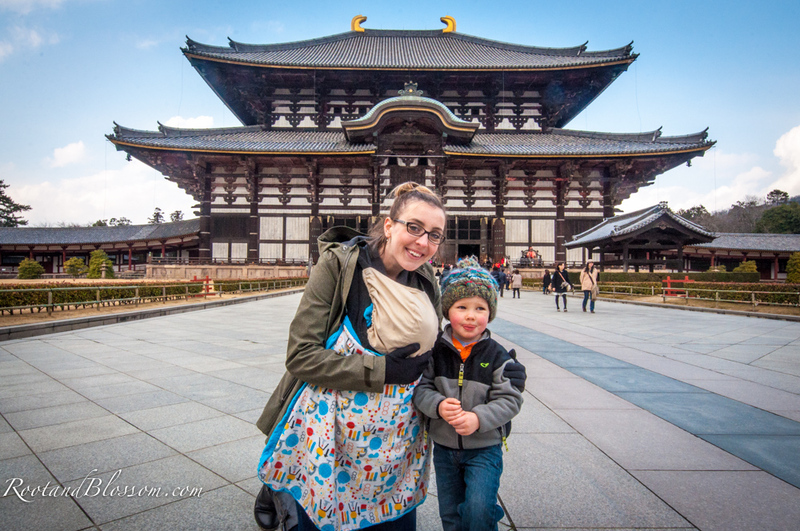 After making my case that I thought heading to Nara would be a great addition to the trip for Gabriel we scheduled it in. 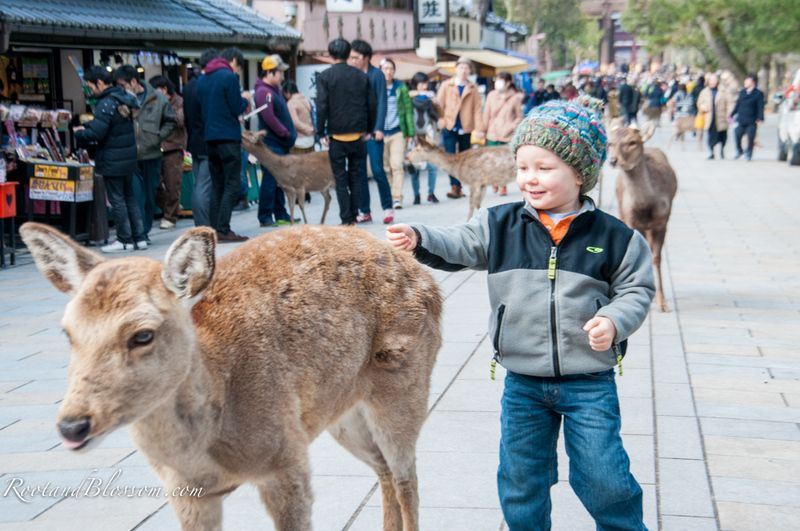 We got off the train, crossed the street and found ourselves right in front of a little stand that sold crackers to feed the deer, we thought this would be a good idea but in retrospect I wish we had passed. 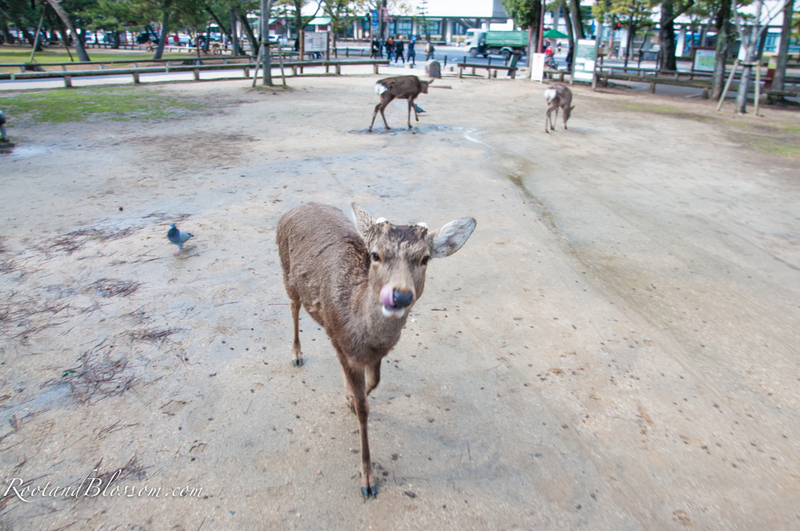 The deer near the stand were crazy aggressive! 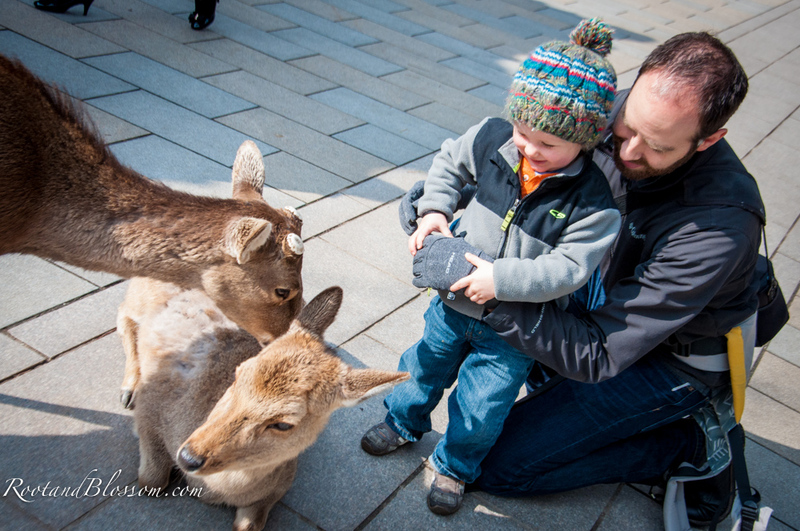 I had this sweet image in my head of calmly, quietly and sweetly hand feeding these deer as I pet their fur and scratched them behind their ear... What really happened? They chased me while nipping at my jacket and Brenik's feet until I not only got ride of the crackers but also put my wallet away because my wallet was the exact same color and they thought it too was edible. 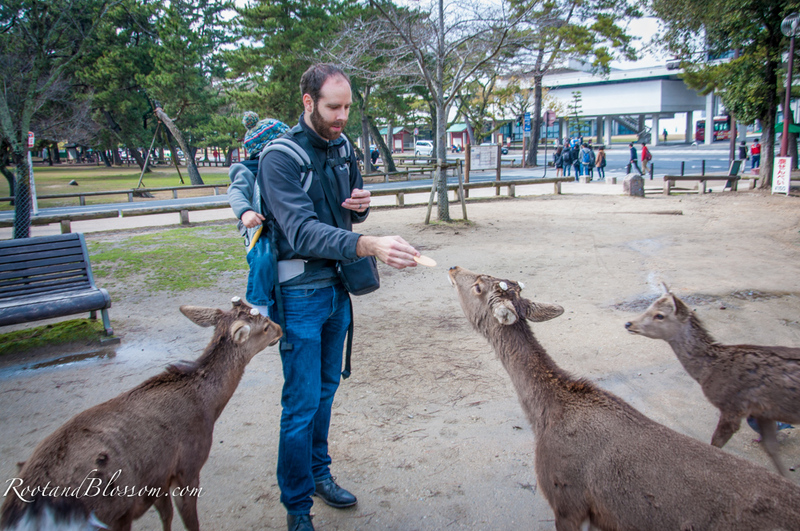 Chris was a little more successful because he quickly fed them rather than trying to bond with the wild animals. 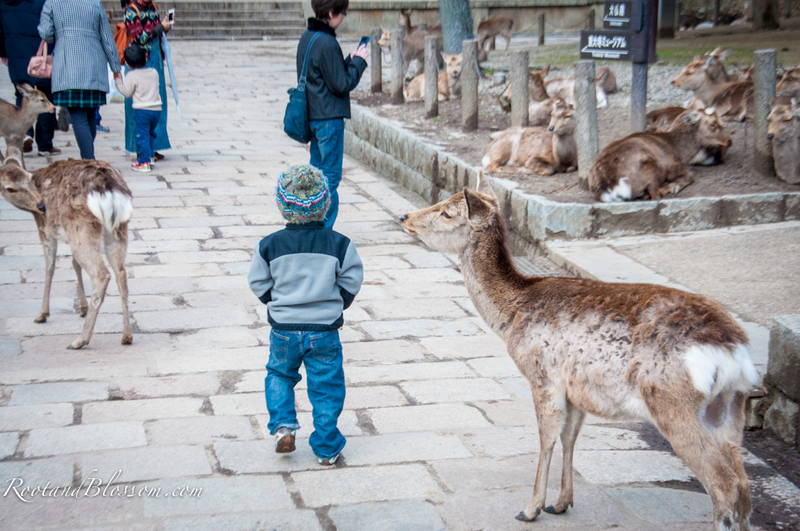 As we got farther into the part the deer coverage because more dense and the deer themselves were a lot more tame, thank goodness, this was the fairytale setting I had been dreaming off. 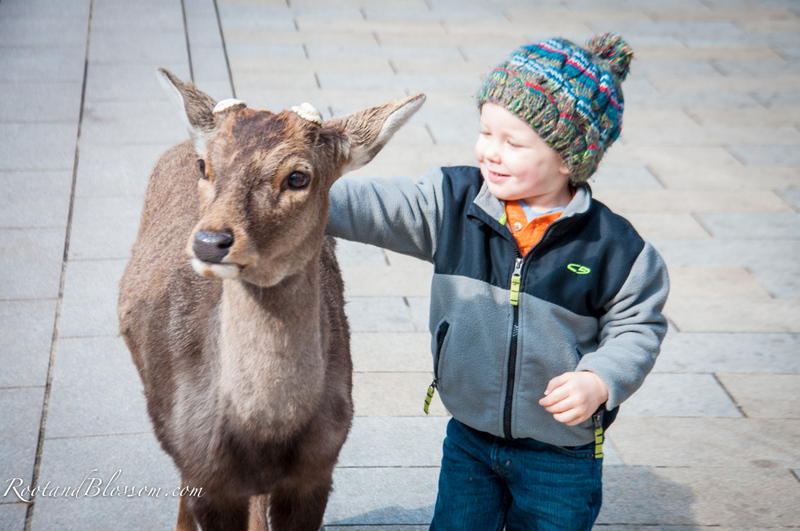 Gabriel adored the deer! 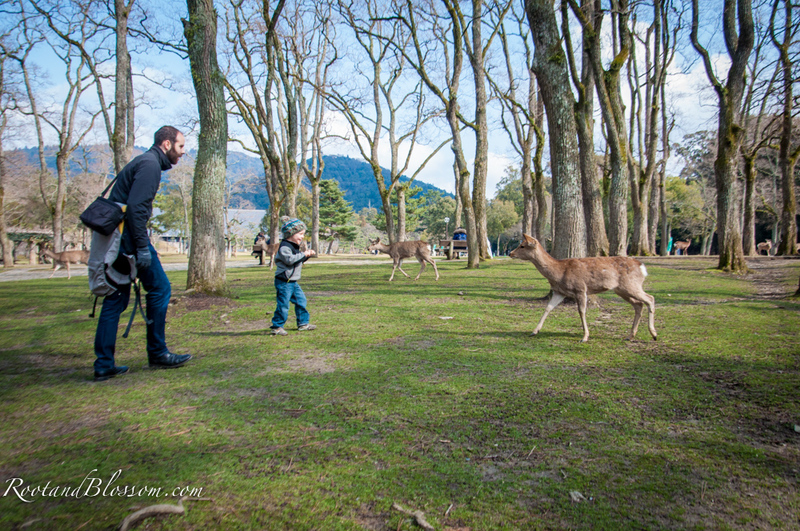 He got a little too excited and rather than calmly walking up to deer to pet them he outwardly expressed all his excitement through language and body motion typically scaring them away. 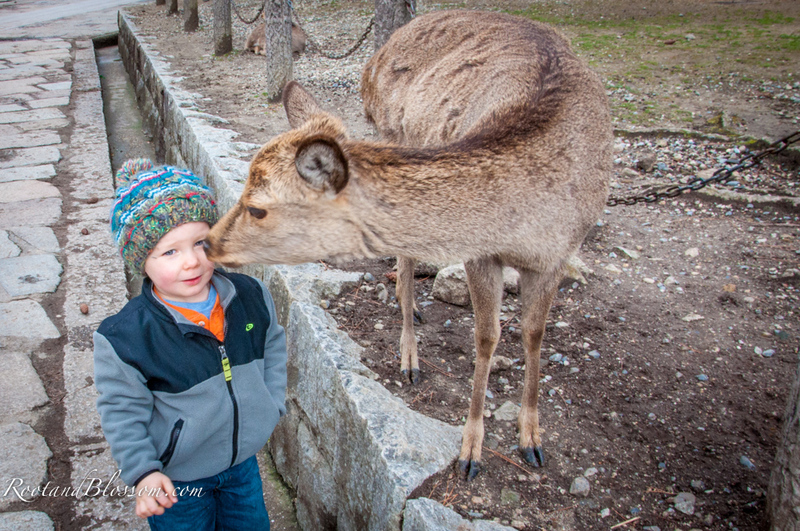 When he did get close enough he loved petting and giving the deer eskimo kisses. 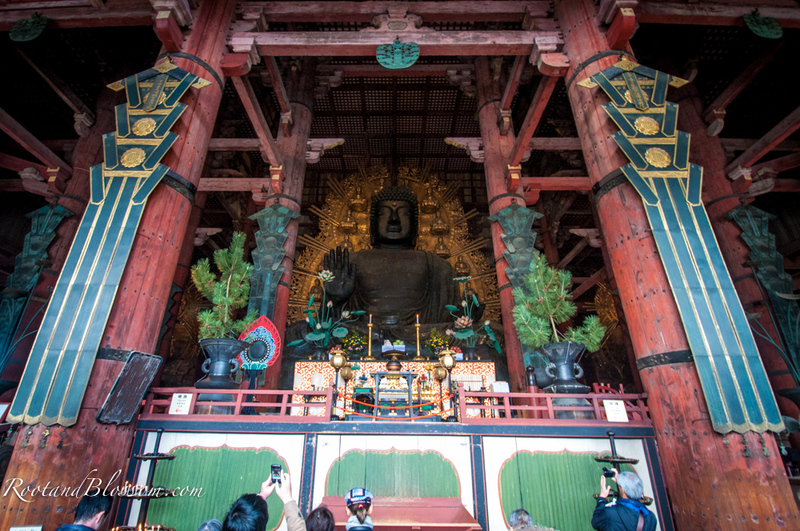 I'll be honest, I did go to Nara only for the deer, however located in Nara is also the world's largest bronze Buddha in the Buddhist Temple complex, Todai-ji. 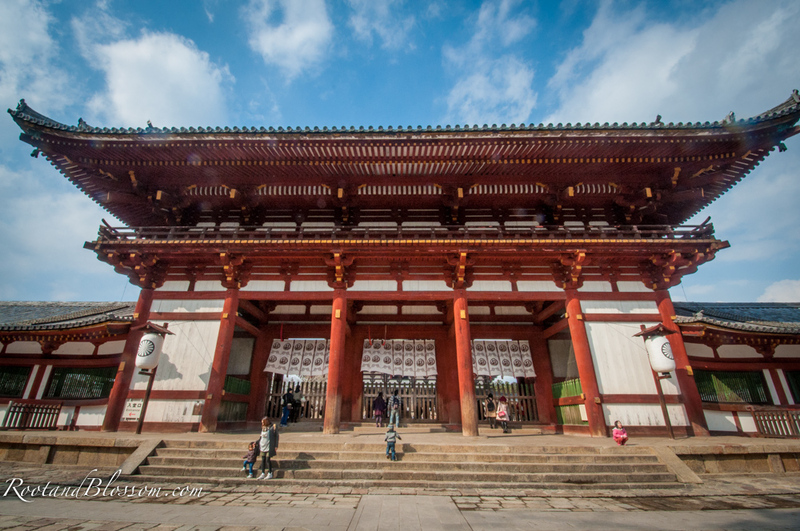 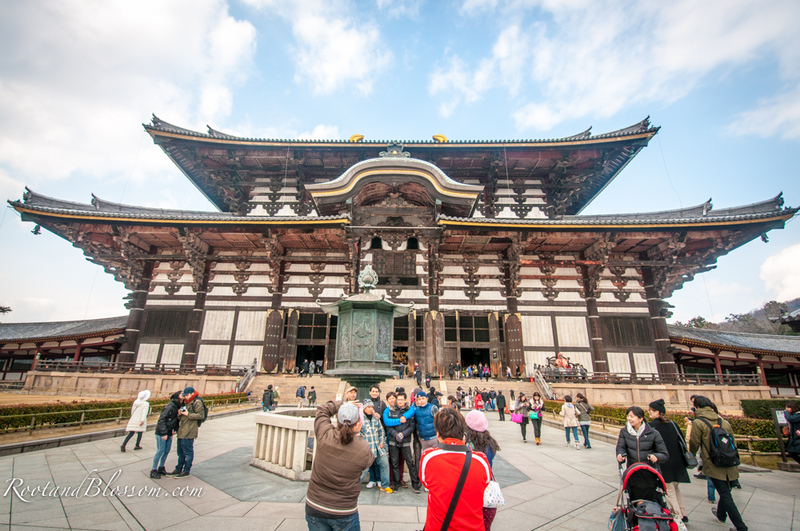 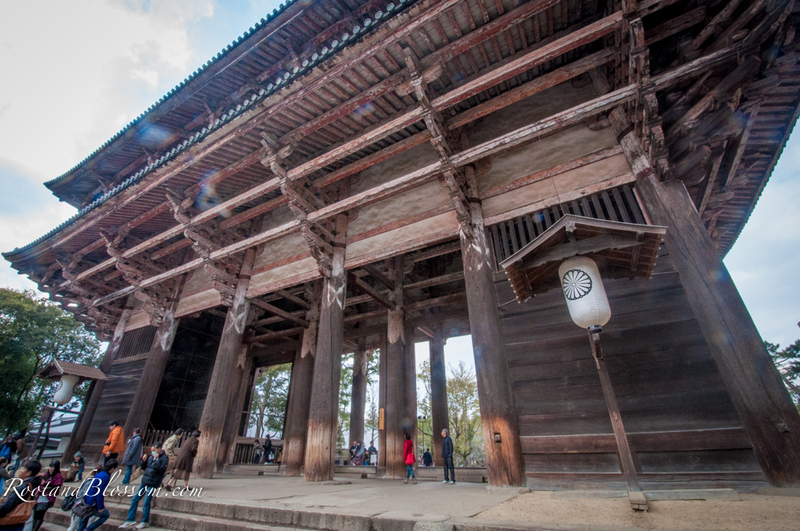 The temple has a pretty fascinating history; the temple was built in 752 as the head temple of Japan and became so powerful that the capitol of Japan (originally Nara) had to be moved to lower the temple's influence on government affairs. 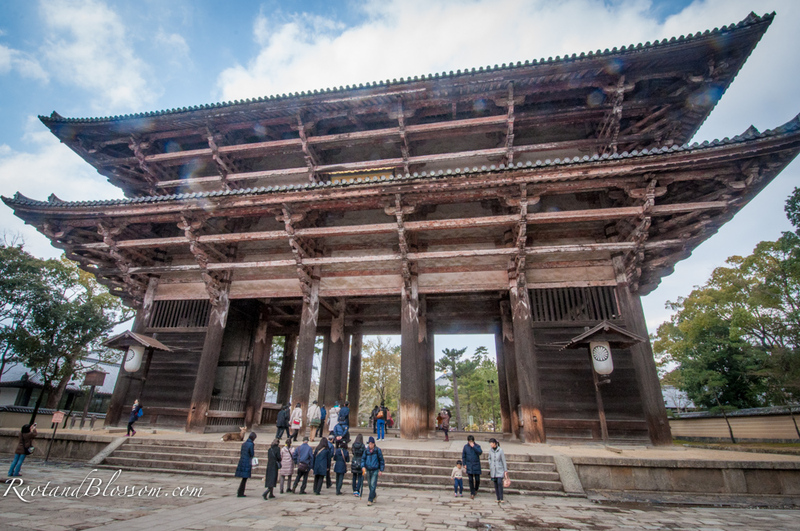 Below is a picture of Todai-Ji main hall which houses the Buddha. 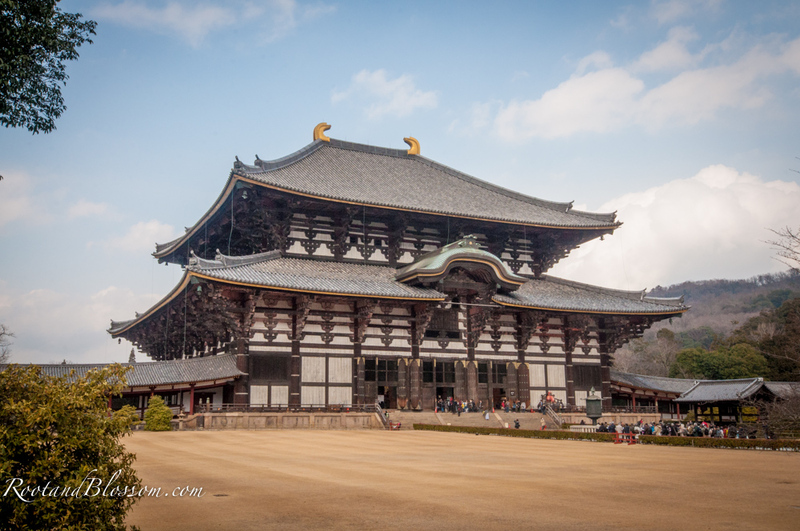 The main hall, Daibutsuden, is the world's largest wooden building and impressively only 2/3s the size of the original hall (the current is a reconstruction from 1692). 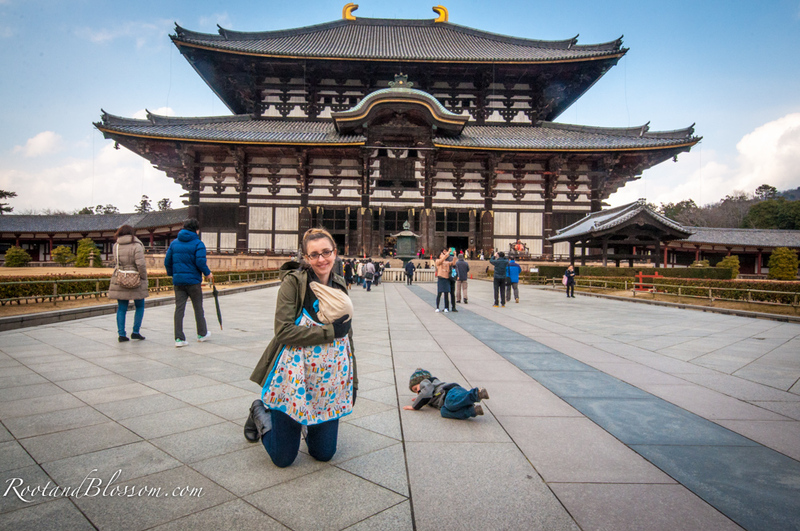 This thing was HUGE! 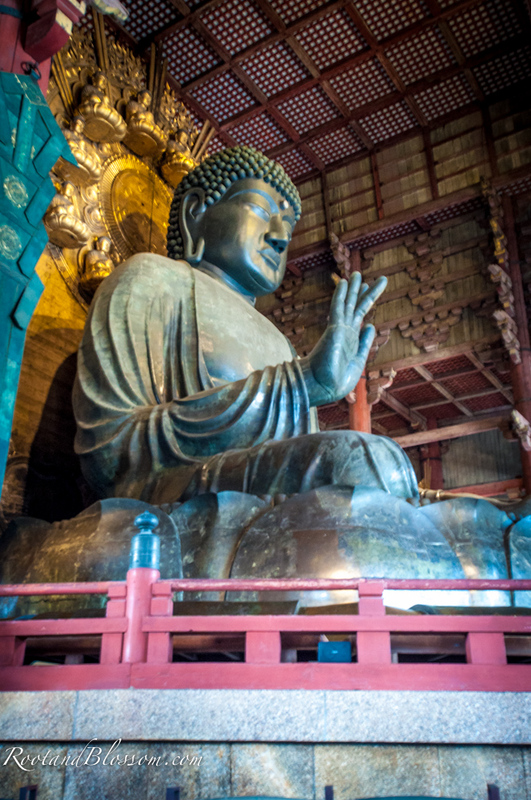 After seeing the hall, the Buddha though the largest of its kind in the world was just, meh. 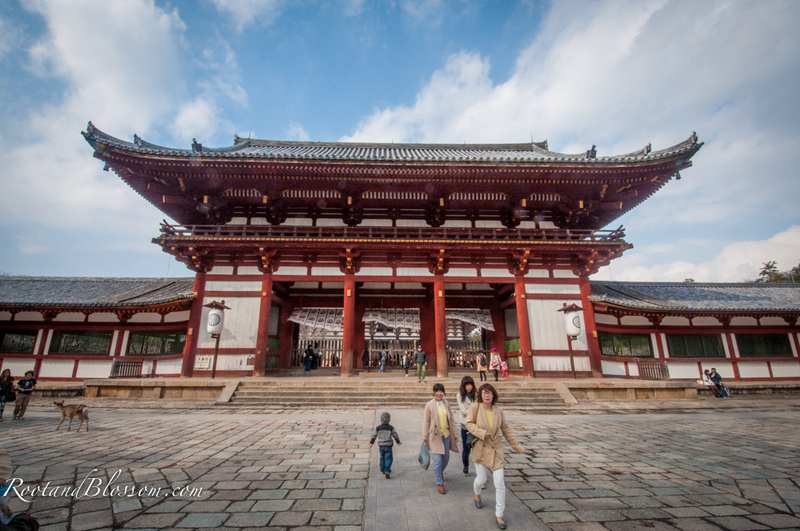 Fortunately we did get a picture before walking the hall. 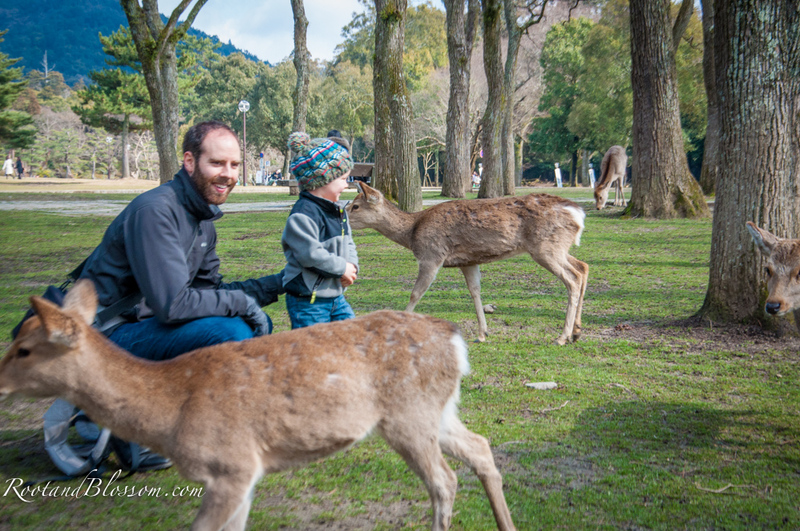 After our little tour around we petted a few more deer then headed back to Kyoto for dinner and rest for the next day!